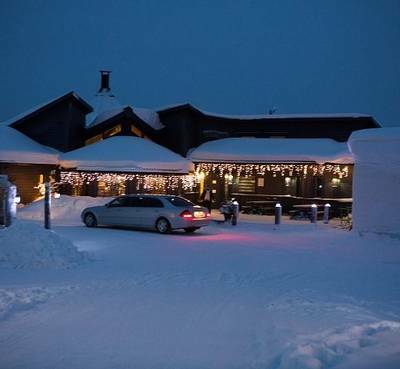 Located on the banks of the frozen Ounasjoki River and only 15 minutes’ drive from the centre of the ski resort of Levi, is Luvattumaa Snow Hotel and Ice Gallery. 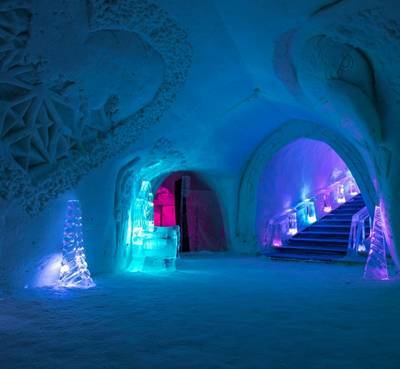 Each year, several snow rooms, an ice chapel, ice bar and ice gallery are created from scratch, carved out of over 10,000m² of snow and ice; creating a winter masterpiece, unlike anything you will have seen before. Subtle lighting illuminates the ice sculptures as you walk through the wintery display, admiring how such intricate pieces have been crafted from frozen water. Previous year’s sculptures have included tigers, eagles and a stag to name a few, so you’re sure to be in for a treat! 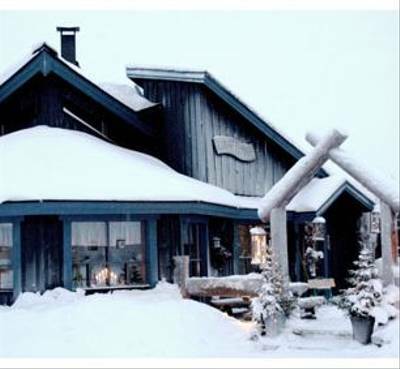 Our guests spend the night in one of the snow rooms here which provide an incredible experience. 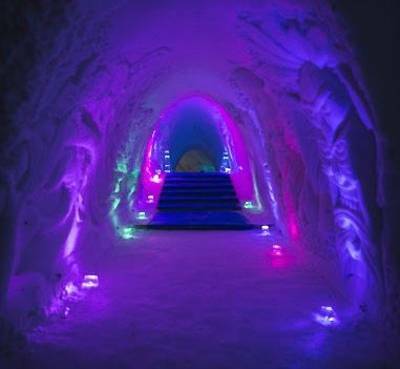 The snow hotel typically only has the capacity for only around 30 guests, it really is an exclusive spot. 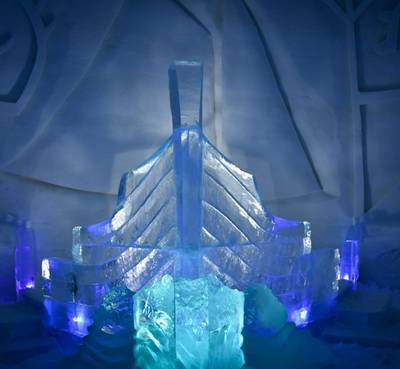 A guided tour of the hotel and the ice gallery are also included in your stay. 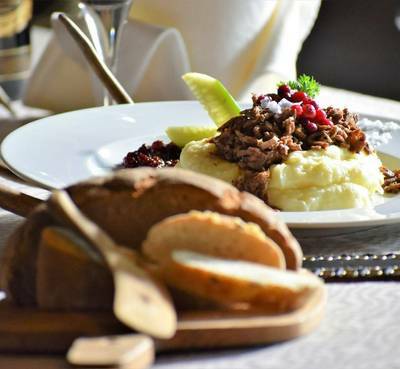 The warm restaurant is housed within a traditional Lappish Hut, complete with local decorations and a roaring fire, creating a cosy atmosphere to enjoy the traditional Finnish food, such as freshly baked flatbreads and simmering pots of stew. This is where you will eat your dinner and breakfast. The main reception building is home to a warm lounge area, as well as the central showers and toilets, all of which are open throughout the night for you to use. There is also a small bar area. The standard snow rooms are all designed with slightly different layouts and lighting, but each room contains either a double or twin beds. Each bed consists of a comfortable mattress and pillow and you will also be given an Arctic-grade sleeping bag and liner, which will keep you toasty warm during the night. The central toilet and shower facilities are available for you to use 24 hours a day and you will be pleased to hear there is no ice in those! There are no doors to the room, instead, a heavy curtain is used to ensure privacy. As each of the rooms within the hotel are open for public viewing during the day, you will check-in at 8 pm, with your room being available to use from 9 pm. Check-out is at 10 am in the morning, after breakfast.